A little bit for those that celebrated Thanksigiving yesterday, but still useful for the rest that are celebrating it late or for those planning christmas meals. Be realistic: Cook only the amount of food that is really needed for your holiday meal. See the Love Food Hate Waste organization's "Perfect portions" planner to calculate meal sizes. 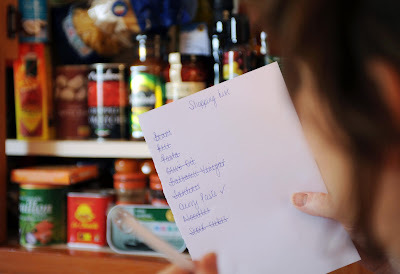 Plan ahead: Create a shopping list before buying the ingredients for your meal. Check out the Grocery Gadgets shopping app for iPhone, Android, and Blackberry. Go small: Use smaller serving utensils and plates to encourage people to eat smaller portions, and reduce the amount of food left on plates. Encourage self-serve: Let guests serve themselves so they will take the amount they can realistically eat. Store leftovers safely: The USDA recommends that hot foods only be left out for no more than two hours. Compost food scraps: Compost vegetable peels, egg shells and other food scraps from meal preparation. Create new meals: Use the leftovers from your holiday meal to make new meals. See the Love Food Hate Waste's recipes from food scraps. Donate excess: Donate canned and dried foods you didn't need for your holiday meal to food banks and shelters. See the Feeding America's Food Bank Locator. Support food-recovery programs: In some cities, there are food recovery systems that will come and collect your leftovers. For instance, in New York City, City Harvest, the world's first food-rescue organization, collects about 28 million pounds of food each year. Give gifts with thought: If you decide to give food, avoid highly perishable items. If you give chocolate, coffee or tea as a gift, choose fair trade certified products. Check out Global Exchange, which lists fair trade certified chocolate, coffee and tea companies.